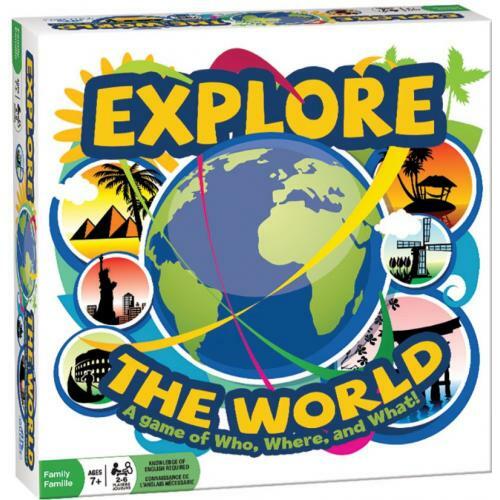 Explore The World is a fun and educational game for the whole family. Explore interesting and exciting places around the world. Learn facts about both the natural world and the man-made world. For example, "What world record does the Mariana Trench hold?" Answer: Deepest place on earth. This is a natural world question. If you look at the image provided for a Question Card sample, you'll see what a man-made world question looks like. There are also Flag cards, which ask questions about the country whose flag is pictured on the card. 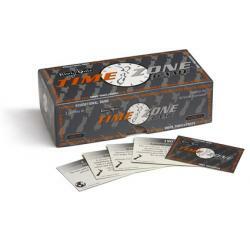 And there are Travel Cards, which help players travel forward or backwards on their journey! Our planet is a cool and amazing place. Why not go exploring! The NEW game where players place important historical events in a timeline. the first player to g..